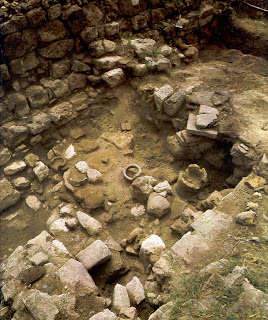 Ancient getic settlement, whose remnants can be seen in part on the hill west of the Capidava village, the archaeological site is known especially for its roman vestiges. The roman fortress was built during the time of the Tetrarchy, at the end of the 3rd century AD, with walls 2 meters thick, made of rock and mortar. The fortress was rebuilt two times, ones in the time of Constantinus II, and the second time in the 5th century. Destroyed by the huns, it was never rebuilt, but the southern part of it was transformed into a square castle, without towers. As most of the Dobrogea fortresses, it was abandoned for a period of time after the great migration of the slavs and avars, to be inhabited again in the 7th century. 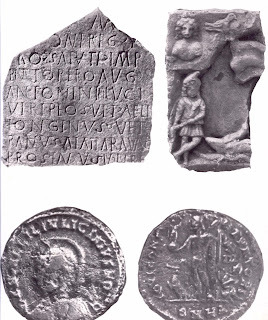 Among the archaeological discoveries, a number of stelae and inscriptions can be mentioned, along with a fragment from a statue of Jupiter, ceramics and small objects and coins. Much more information and photos can be found at cIMeC or on the official website. The story continues with this post.